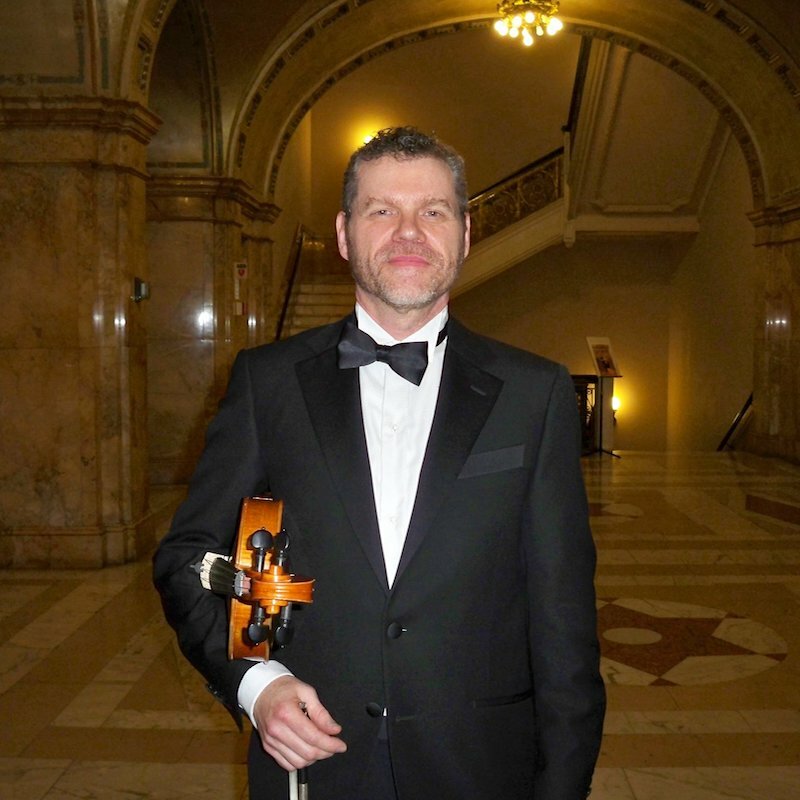 John McCarthy has played viola in orchestras of the Pittsburgh Opera and Pittsburgh Ballet Theatre at the Benedum Center for 25 years. He has also played for the Mendelssohn Choir of Pittsburgh, Chatauqua Symphony Orchestra, Pittsburgh New Music Ensemble, Moscow Festival Ballet, Pennsylvania Ballet, and Moiseyev Ballet. Conductors that Mr. McCarthy as worked with include Joseph Silverstein, Eiji Oue, Robert Page and Lorin Maazel. His chamber music teachers were Eugene Phillips, Josef Gingold and Jascha Brodsky. Mr. McCarthy has also participated in the St. Barths Chamber Music Festival in the French West Indies and Haiti. Mr. McCarthy has taught for over 20 years in the Trinity Area School District in Washington, PA and is the founder of the orchestra program in the district. He holds a BFA in viola performance from Carnegie Mellon University as well as a music education certification. His viola was made in Milan by Leandro Bisiach in 1899.